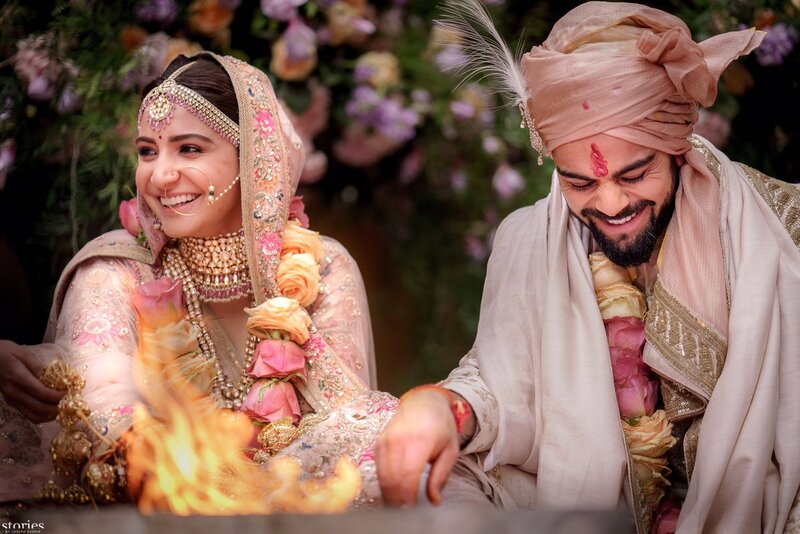 New Delhi, Dec 11: The Board of Control for Cricket in India (BCCI) led congratulatory wishes for India skipper Virat Kohli, who on Monday married Bollywood actor Anushka Sharma in a private ceremony in Italy. The couple took to Twitter to announce their relationship and social media has melted ever since. "Heartiest congratulations to this lovely pair. Wishing the couple a very happy married life," read the message on the national cricket board's Twitter handle. Cricketer Harbhajan Singh also took to the social networking site to congratulate the newly weds. "Jug jug jeeve eh sohni Jodi [email protected] @AnushkaSharma rab hamesha khush rakhe (May this beautiful couple enjoy a long life. May God keep them happy always)," Harbhajan's tweet read. Pacer Umesh Yadav also tweeted: "Happy married life both of you @imVkohli and @AnushkaSharma have a wonderful life ahead may God bless u both with lots of happiness." "Best wishes to both of you on your wedding @imVkohli & @AnushkaSharma. Wishing you a life filled with all the blessings and joys of life," Test specialist Cheteshwar Pujara wrote. 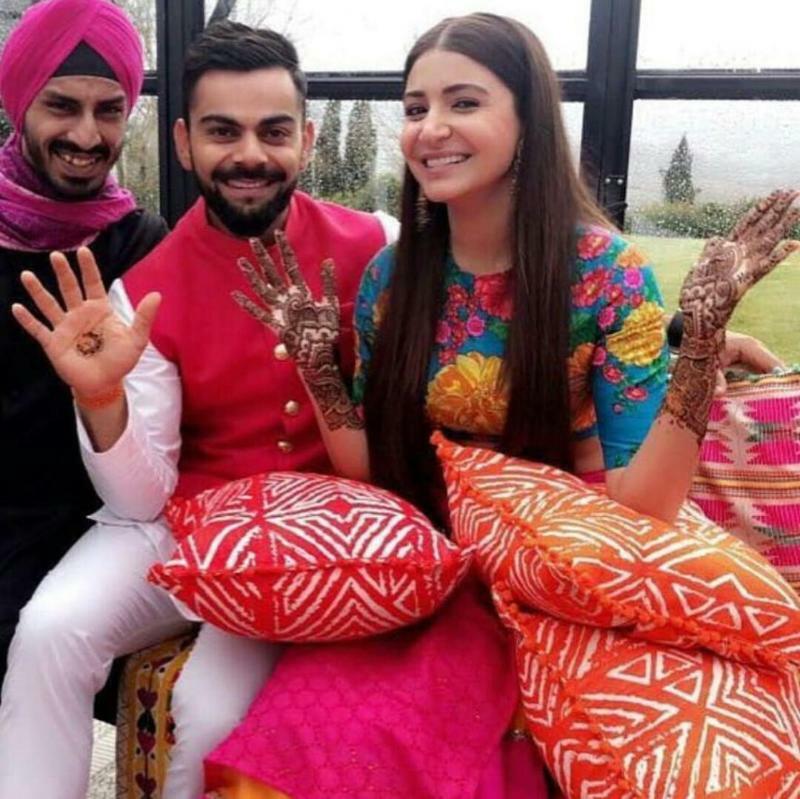 Former BCCI President Anurag Thakur also took to Twitter to wish Kohli and Anushka: "Heartiest congratulations to @imVkohli and @AnushkaSharma for the new innings. Wishing you both all the best always!" Ex-India Test opener Aakash Chopra wrote: "Shaadi Mubarak, @imVkohli and @AnushkaSharma. May God bless you both with lots of happiness." Former Pakistan captain Shahid Afridi also congratulated the couple, saying: "Congratulations @imVkohli @AnushkaSharma on your wedding. May God Bless you two and give you happiness and a rewarding married life." Indian women's hockey team captain Rani Rampal wrote: "Congratulations to the beautiful couple @imVkohli pajji and @AnushkaSharma for their wedding." Wrestler Geeta Phogat wrote: "Awww congratulations...you look soo cute together and wish you both happiness and [email protected] @imVkohli." The wedding was solemnised as per Hindu rituals at 2 p.m. in Italy with the bride and groom looking resplendent in ensembles by celebrated couturier Sabyasachi Mukherjee. The couple, who has been together for four years, is said to have chosen a luxury heritage resort Borgo Finocchieto, a little over 100 km away from Florence, for their nuptials.